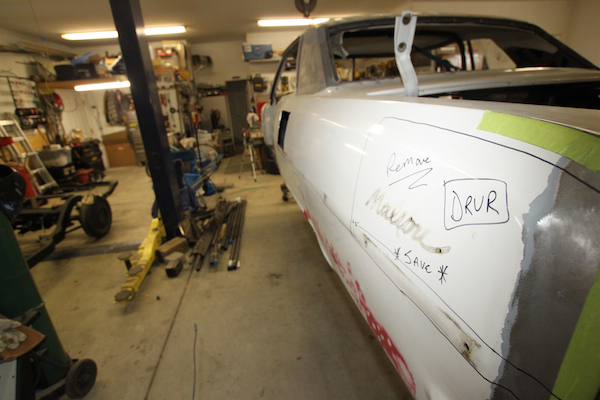 You are here: Home » Chevelle Build » The MuscleCar Place Podcast – Episode #117 – From the Drivers Seat: Road Trip to Allison Customs! The MuscleCar Place Podcast – Episode #117 – From the Drivers Seat: Road Trip to Allison Customs! Our friends at FAST gave away a $200 Gift Certificate last week via our Listener Prize Segment. Justin Schrecengost won the prize and will use it on his ’94 Cougar – congrats Justin! Stay tuned for details on our NEXT giveaway program! In this week’s podcast show I decided to do something a little different. Quite honestly, out of all of the shows I’ve ever done, this one may be my favorite. I decided to give an in-person impression of the sounds of our road trip to Allison Customs and a complete talk-through of the build of my Chevelle. I detailed absolutely every bit of this in my recent blog post (Photo Gallery: Road Trip to Allison Customs and the 2012 Chevelle Build Update), so please refer to that article for pictures and written content. So why is this my favorite show? Well, the audio segments that I took were, for the most part, not at all intended for this show but instead for a related video that was being shot. After I listened to the segments I realized that we’d be able to tell the story of the trip, and when it was all said and done I personally found the audio so compelling that I had to share it here. I think that’s why it’s my favorite. I rarely do “field” audio recordings, mainly because it’s tough to get good quality audio, but in this case it works. You’ll hear audio from a moving car, inside a shop with blower fans running, and outside with gravel under our feet and birds chirping in the trees. An in car update of our road trip to Allison Customs. We’re about an hour away from his shop, and I’m getting excited. My reaction to seeing the car for the first time and a complete walk-through of many of the mods that Jeff Allison has made. I hope that you enjoy the show, and thanks so much for being a listener and reader here at The MuscleCar Place. Without your support this little miracle never would have been possible! If you’d like more details on the build of the car, just access the full Chevelle Build link and check out all of the posts!